The default LibreOffice office suite reached the new major 6.1 released a few days ago. Here’s how you can install it in Ubuntu 18.04, Ubuntu 16.04, Linux Mint 18/19, and derivatives. According to Libreoffice 6.1 release note, the new release brings new icon themes and app icons, better KDE integration, reworked image handling, improvements to Excel 2003 XML import, continued GTK3/GNOME improvements, and more. How to Install LibreOffice 6.1 via Snap in Ubuntu. 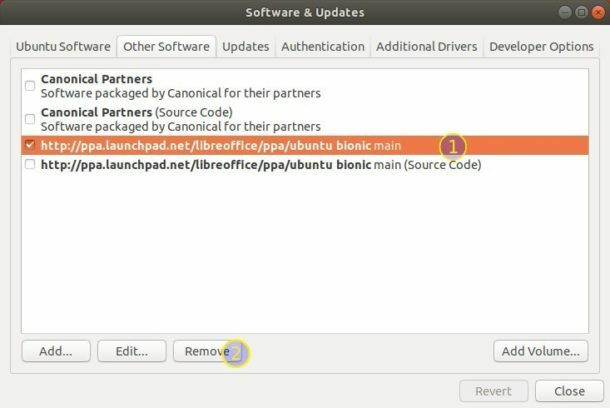 While LibreOffice PPA is not ready for the new release at the moment, you can install the snap package in Ubuntu 18.04 and/or Ubuntu 16.04 easily via following steps. Snap is containerised software package, designed to work securely within most Linux desktop. It bundles all its dependencies and auto-updates itself. 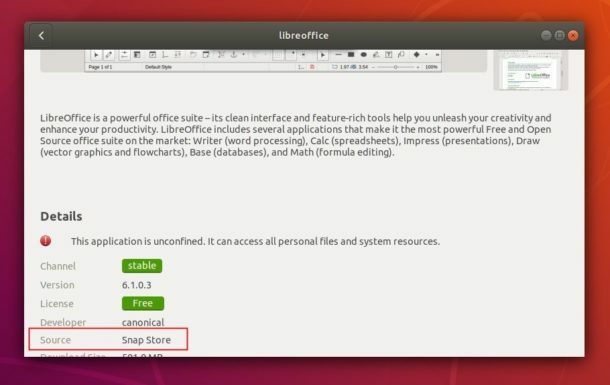 To install LibreOffice 6.1 snap, simply open Ubuntu Software, search for and install the first ‘libreoffice’ package from Snappy store. The snap package co-exists with default Libreoffice package. Other than open it from software launcher, you can run /snap/bin/libreoffice command to make sure you’re running the snap version. All current Ubuntu releases can easily upgrade the current LibreOffice packages to the latest via LibreOffice Fresh PPA (check the link to see if the new release is published). Type your password (no asterisks feedback due to security reason) when it prompts and hit Enter to continue. 2. Then you can upgrade LibreOffice through Software Updater (Update Manager) once the new release is made into PPA. To simply remove LibreOffice PPA, open Software & Updater and navigate to Other Software tab. But I encountered an issue. I have installed via ppa. Only draw drawing and math formula are availabe. How do I add base database and impress presentation? Why isn’t there a date on this article? Sorry I removed the post date while the URL address contains it.